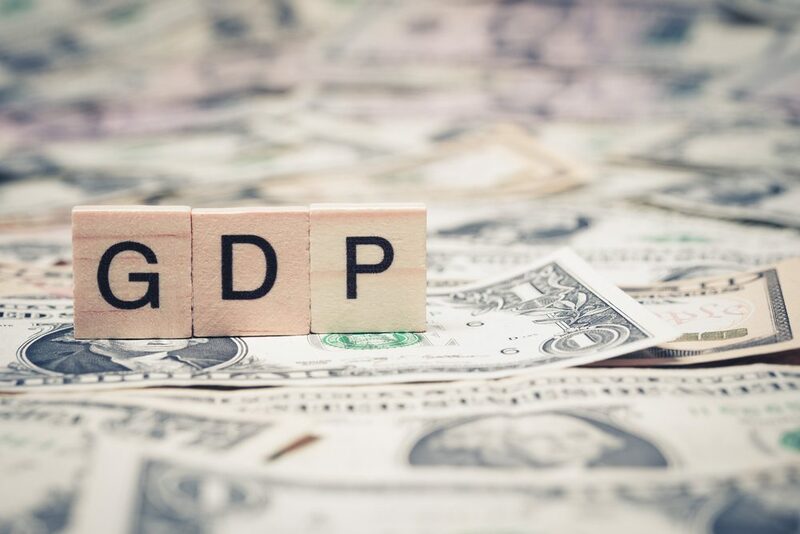 The main release from yesterday was the second estimate of the US GDP growth rate for the first quarter of 2018. The first estimate had shown that on an annualised basis, the economy fell to 2.3% at the beginning of the year, from 2.9% in the final quarter of 2018. However, Wednesday’s release showed that the US economy grew by even less than initially thought, at a rate of 2.2%. This, coupled with some disappointing employment data from the US, was enough to boost sterling and the euro against the dollar. The euro in particular had a good day, as it made some healthy gains against the greenback and pound. Despite ongoing political tensions surrounding Italy and Spain, the eurozone posted several economic data releases that allayed fears that the economy’s growth appears to be slowing. Any indications of robust growth were bound to be latched onto by investors given the recent run of disappointing data. In truth, the currency movements were a culmination of several things that all had the effect of working in the euro’s favour. Sterling plummeted against the euro, despite there being no economic data releases from the UK. That perhaps help show the lack of confidence the City has in the UK economy at present and some positive data is needed sooner rather than later. Perhaps it will come in the form of the Gfk consumer confidence which is set for release today. We will also see Nationwide housing prices from the UK and the eurozone’s unemployment and inflation rate for April. In the US, we have initial jobless claims and, if they further show worse-than-expected employment data, the dollar could lose more of its recent gains against sterling and the euro. With all of the current uncertainty surrounding (deep breath) Italy, Spain, the eurozone, UK economy, Brexit, Trump, North Korea, trade wars and Theresa May, it would appear that effective treasury management should be at the forefront of those UK SMEs with exposure to foreign currency. With that in mind, why not download our Treasury Management White Paper which is designed to provide an overview of some of the things to consider. If it sparks an interest in finding out whether you have the best solutions in place, then contact our team today on info@smartcurrencybusiness.com. It was a quiet day for UK economic data yesterday, so attention was trained on the US and eurozone. Releases from both areas helped sterling strengthen against the dollar, but it weakened once more against the euro. It just goes to show how direct an influence economic data releases can have on currency movements from one day to the next. Today is slightly busier, as we’ll see the Gfk consumer confidence figure for May, as well as Nationwide housing prices and mortgage approvals. All are unlikely to have too much of a bearing on sterling movements, although they might reinforce the notion that the UK economy is currently struggling. On Friday, we’ll see the manufacturing purchasing managers’ index for May, which is expected to drop from 53.9 to 53.5. As the political turmoil surrounding Italy and Spain rumbled on – with some reports claiming that the European Central Bank might be moved to call an urgent meeting to discuss Italy – the euro found time to make more than one cent against the dollar. The single currency also managed to strengthen against sterling following the release of several pieces of economic data. The unemployment rate in Germany for May came in at 5.2%, which was better than the 5.3% expected, while retail sales smashed forecast. Month-over-month, sales grew by 2.3% when 0.7% had been expected. Meanwhile, business confidence in the eurozone came in at 1.45 against an expected of 1.3. Services sentiment was slightly below forecast, but both economic and industrial sentiment came in above forecast. The markets were clearly buoyed by the releases and the euro managed to retrace some of its recent losses. We also saw inflation in Germany creep up to 2.2% in May from 1.6% the month before; this is quite an increase and is bad news for consumers. Today we will see the eurozone’s inflation rate which is expected to jump from 1.2% to 1.6%. It was always likely that growth in the US from the fourth quarter of 2017 to the first quarter of 2018 was going to show a slowdown, but not quite as much as first thought. The first estimate showed a decline from 2.9% to 2.3%, but the second estimate – released yesterday – showed that the actual figure was 2.2%. In addition, the ADP employment report showed there was an increase of 178,000 jobs in May, but this was far below the expected 190,000 rise. It makes for a fascinating build-up to the non-farm payrolls released on Friday. Combined, the two pieces of data were enough to send the dollar spiralling against sterling and the euro, and it was particularly weak against the latter. Today we’ll see initial jobless claims up to 26 May 2018, but Friday is the next day for major releases, with the aforementioned non-farm payrolls, as well as the manufacturing PMI for May.